I met Shirley MacKenzie at a reading soiree at a now defunct indie bookseller which had our books on consignment. Shirley had written and illustrated a moving account of her search for her birth mother and father. 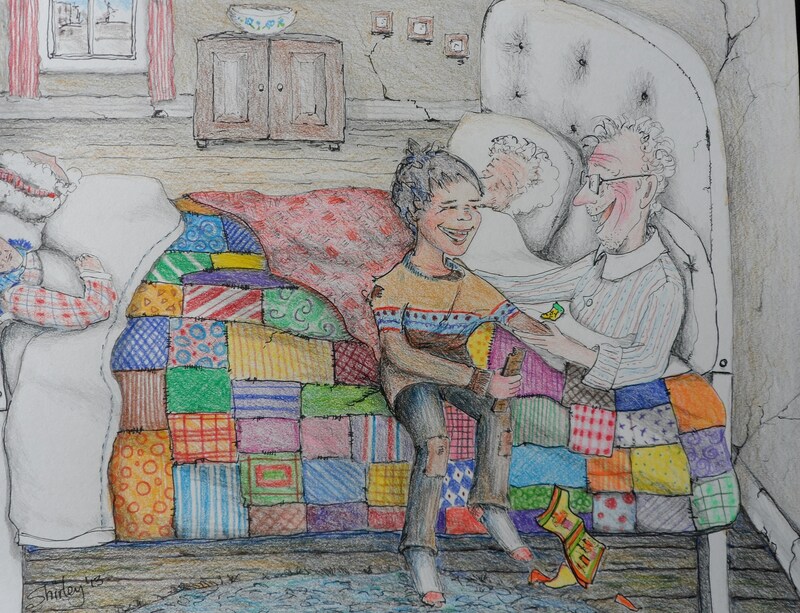 The emotional impact of Shirley’s story was in her drawings, which are at the intersection between personal and universal. She does not tell her reader what to think or feel: she presents evocative images of loss, longing and fulfillment that haunt me still. 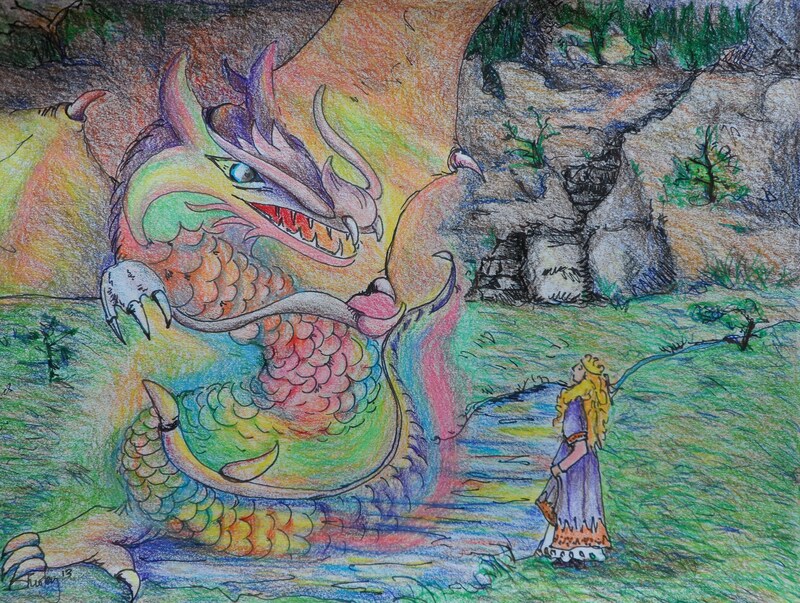 Shirley bought a copy of my book, The Laughing Princess, and was moved to draw a scene from one of the stories, “The Wizard and the Fire Dragon,” and later another, “Ryll’s Fortune.” I was amazed to see how close her vision came to the one in my mind when I was writing. 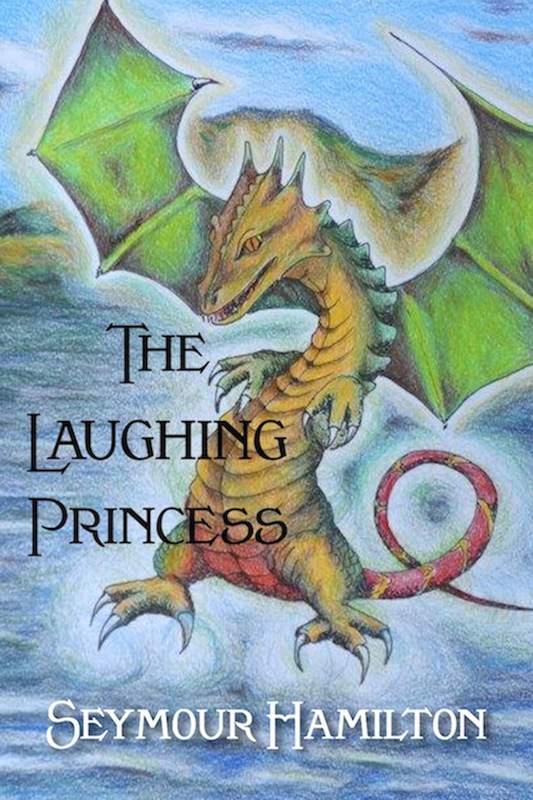 Her charming rendition of The Littlest Dragon, the character that ties the twelve stories together, is now the cover art for both The Laughing Princess and the Spanish edition, La Princesa valiente. Shirley’s search for her birth parents took her to England and Scotland, where she travelled with sketchbook in hand. In London, her paintings feature views of and through the peculiarly English iron railings that most people see but do not notice. In Scotland, she captured the muted colours of a Scottish autumn with a vividness that refreshes the memories of those who have been there. Back in Canada, she continued to find ways of taking us through the picture frame into the world that she sees in such vivid detail. Her paintings of New Brunswick and Nova Scotia have the quality of a shared experience, when one person says, “Look at that!” and both enjoy the moment. Illustration is Shirley’s latest enthusiasm. She started with well-known children’s classics such as The Little Prince, Charlotte’s Web and Treasure Island. Her drawing of a pivotal emotional moment when Jim Hawkins makes an important step towards manhood illuminates the text, making us aware that Robert Louis Stevenson was not just writing adventure: his story has emotional depth that we often lose in the many films, cartoons and re-interpretations of the famous tale. The most poignant example of Shirley’s ability to read into the deeper dimensions of a story came when she drew a couple of incidents in stories by Spider Robinson. I was impressed by the appropriateness of her treatment of these emotion-laden scenes, and sent copies of them to Spider, who I have known since we both lived in Halifax, Nova Scotia. All images in this post are © Shirley MacKenzie and must not be used without permission. 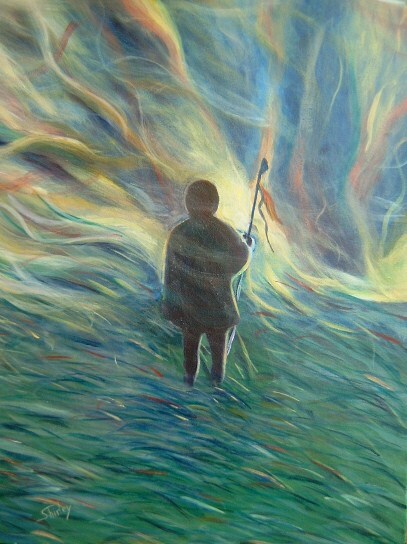 Please see Shirley’s other work at artspace59.com.